I like writing in multi-narrative arcs. It’s just the way my mind works. Most of the time, though, it’s a bit like herding falafel or juggling the abstract concept of time. Still, I’m daft, so I do like a challenge. This week, as I’ve been going through a thousand tattered pieces of story structure advice that I’ve ripped out of the Big Book of Internet, I’ve been thinking a lot about my next series, and the narrative arcs contained within. The whole series is going to take place over nine books and ten years, and is going to have enough disparate narrative arcs to make George RR Martin sit down and have a good hard look at his life. It’s a global series, too, with an over-arching plot that will take in England, America, Nigeria, China, and Russia, and a honking great Ice Moon. And that’s just the opening trilogy. Since that’s a lot of ground to cover, I’m going to need different people in all those places, feeding into the main narrative. This is where my focus has been over the last week. Each of these character arcs are going to need to be satisfying in their own regard, while ultimately serving the greater whole of the novel. Some of them might have an arc that will spill over three books, but their tale within each novel will also need to be a satisfying tale in its own merit. On top of that, each book in the series needs to be its own complete and distinct thing, because there’s nothing worse than getting to the end of a book and feeling like you’ve only had half a meal. Be a novelist, they said. It’ll be easy, they said. As I look over the tattered pieces of digital paper that make up my notes, I’m still getting that tingle of excitement from knowing that I’ve got something… exciting. I really love the characters, and I’m getting very heavy into thinking about the dystopian future that they inhabit. There’s different elements here that are going to play as straight up horror, there’s sci-fi noir elements, there’s big ideas and little surprises. If I can get it all together to sing, it’ll really be something. This week, it’s back to writing. I’ve got two more chunks of narrative arcs to write, another 50,000 words or so, and then I should have the first trilogy in the series fully drafted. One full draft of hot mess and writing that’s fit for the bin, but enough nuggets in there that the second daft should be good fun. Blimey, I’ve only had two weeks off writing and I’m already thinking of it as being fun. I wonder how long that will last. 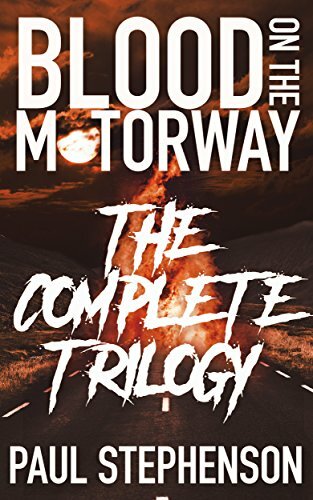 Before I go, just a reminder that my March Mayhem book giveaway is only running until the end of this week, so if you want to get your hands on Blood on the Motorway and over twenty other horror books, completely free, you should hit the image below as hard as your little finger (or mouse) can do without hurting your finger.